Is academia the only place to deploy your research skills? Certainly not. For some, it may not even be the best place to pursue career research interests. A recent Dutch survey found that roughly half of university researchers complained that they were not doing as much research in their job as they were promised. But whether inside or outside of academia, there exists deep demand for PhD-level research methods, domain expertise and analytical skills. 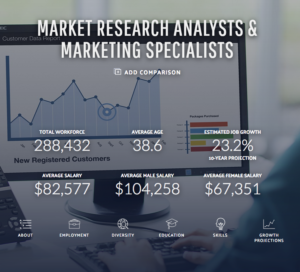 In the private sector, the field of market research–in its various incarnations–is one area of work that increasingly requires deeper levels of evidenced-based marketing, survey construction, behavioral science applications and data visualization. With an estimated employment of 288,432 and projected job growth of 23.2% over 10 years, this should be good news for PhDs and post-docs. 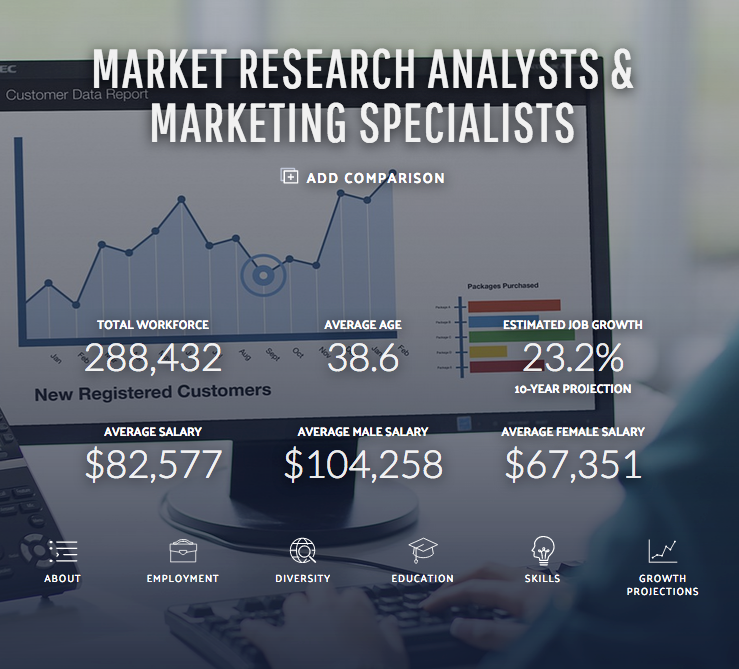 Below are examples of several market research positions in the private sector. Included is a range of Humanities, Social Science and STEM disciplines from quantitative education research to media analytics, Big Data and health economic outcomes. Director, Business Development, Genome Ctr. For access to more jobs as well as archived and searchable opportunities, visit our SmartJobs page.